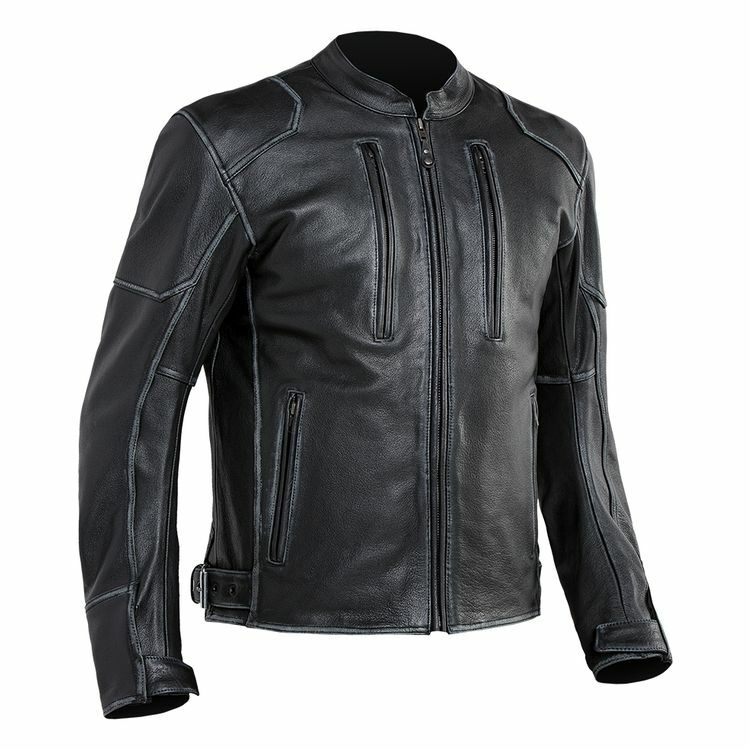 The Street & Steel Outlander Leather Jacket is made out of natural drum dyed leather. A mandarin style collar won't interfere with a helmet or annoyingly flap in the wind. CE rated armor at the elbows and shoulders is included from the factory, but back armor is not included. The Variable Air Exchange System (VAX) lets you control air flow with zippered vents.